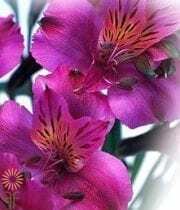 Alstroemeria or Inca Lily is a flower available in many sparkling colors. When you see the freshly cut flower, the Alstroemeria hides it beauty in the bud. But when it opens it surprises you with many sparkling colors. 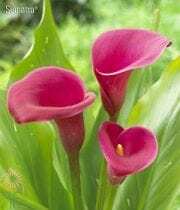 The six to eight flowers on the stem become visible combining sparkling colors of white, yellow, red, orange, purple or pink and bicolors. 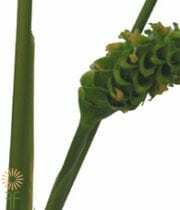 Another characteristic is the stem with beautiful twisted leaves. 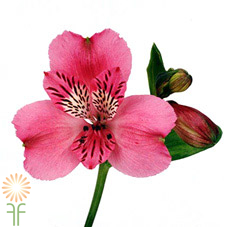 Alstroemeria is often used in bouquets the stems are 20 – 25 inches tall and there are 10 stems per bunch. Pink Alstroemeria needs to be cut upon arrival about one inch from the bottom. 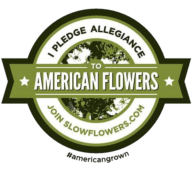 Use a clean vase and clean water and add the flower food pack. Strip the foliage so it does not touch the water level and make sure none fell into the vase. 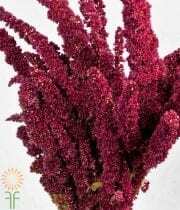 Repeat care and handling every other day or when the water looks fussy and they can last for 2 weeks or more in a vase.